They savor pizza and burgers, no longer frighten children, and many of them can walk the streets without people knowing they have someone else’s cheeks, nose, lips and skin. People who have had face transplants increasingly are going public, helping to transform an operation that six years ago was daredevil theory into one that is widely accepted. At least 18 face transplants have been done around the world, starting with a French woman mauled by her dog in November 2005, said Dr. Maria Siemionow, at Cleveland Clinic. 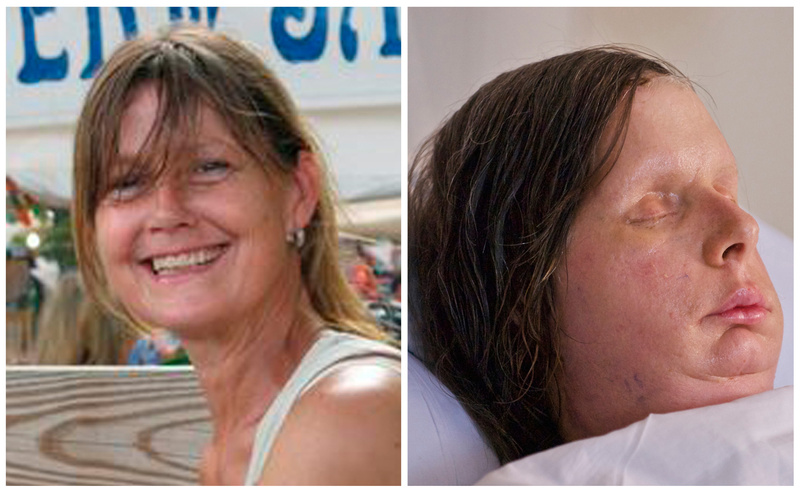 She did the first face transplant in the U.S. in December 2008. Brigham and Women’s Hospital in Boston has done three this year alone. The U.S. Department of Defense is providing money for more of these surgeries in Cleveland and Boston in hopes of helping soldiers disfigured in battle. The University of Pittsburgh plans to offer face transplantation soon. “It isn’t mainstream yet. It’s a last resort surgery,” said Michael Cunningham, a psychologist at the University of Louisville, a pioneer in hand transplantation. But the face transplant experience so far shows that “there were a lot of naysayers and worries that just didn’t seem to come to pass,” he said. On Thursday, the Boston hospital released a photo taken last month of Charla Nash, a Connecticut woman mauled by a chimpanzee. She had a face transplant in May. Not all face transplant recipients have recovered hoped-for capabilities yet, and some have less than stellar aesthetic results although they are all vastly improved from how they looked before. The more recent ones in particular, where full rather than partial transplants have been performed, have fared especially well. “They look from the very beginning quite natural and quite normal,” said Dr. Bohdan Pomahac, who has performed four face transplants at Brigham. The most touching moment for him was a recipient texting him nine days after the operation, asking for a place to get good sushi in Boston. “The level of normalcy,” and to consider going out in public so soon, is “amazing,” Pomahac said. • Dallas Wiens, a 25-year-old Texan severely disfigured in a power line accident, looked like a sock of flesh had been pulled over his face — no eyes or nose and barely a mouth. After his transplant earlier this year in Boston, he said the first thing his young daughter told him was “Daddy, you’re so handsome.” He said his new face felt “natural,” and that right away he could smell the hospital’s lasagna. • Mitch Hunter, 30, of Indiana, wore a prosthetic nose and had a distended, lopsided jaw after being disfigured in an accident. Now, he could pass you on the street and you wouldn’t guess he has a new face, so good is his cosmetic result. The successes have led more hospitals to approve face transplant protocols. “We’re currently screening patients,” said Dr. Joseph Losee of the University of Pittsburgh. Carefully selecting appropriate patients “is the most important thing,” he said. So far, only two face transplant-related deaths have been reported, said Dr. John Barker, former director of plastic surgery research at the University of Louisville who is now a reconstructive medicine researcher at the University of Frankfurt in Germany. One was a Chinese man who reportedly was not given or did not take medicines to prevent his body from rejecting his new face. The other was in Paris, a man who received a face and a double hand transplant. He suffered a heart attack during surgery to address a complication, Barker said.